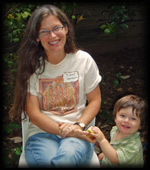 Mountain Dulcimer Resources in Northern California. Please contact us if you are a northern California mountain dulcimer resource provider, or if you know of one not listed on this website. 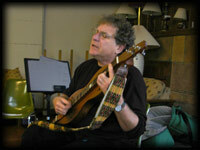 Neal has been active in performing, writing, teaching and recording acoustic music for the past twenty years throughout the United States, Europe, and New Zealand. He is the author of many dulcimer books, including It's A Dulcimer Life, The Dulcimer Chord Book, The Hal Leonard Dulcimer Method, Beatles Dulcimer Book and The Music of the Shakers For Mountain Dulcimer on Mel Bay Publications. Paul’s doctoral work on the Lyra Viol (a 17th-century English style of viola da gamba that uses tablature notation and variant tunings) segued well into writing finger-picking music for the mountain dulcimer. 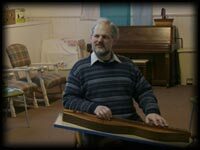 Since the 1970s he has contributed numerous articles to the Dulcimer Players News, and he currently teaches composing and theory for mountain dulcimer. Beautifully crafted mountain dulcimers from Janita Baker, of Santa Margarita, CA. 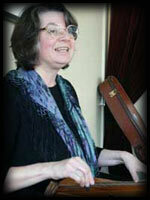 She has also produced several fine dulcimer books and recordings. Appalachian dulcimers of superb beauty, projection, voice and action. An independent label specializing in acoustic music owned by the nationally renowned dulcimer artist, Neal Hellman, of Santa Cruz, CA. Scads of great dulcimer recordings and books. 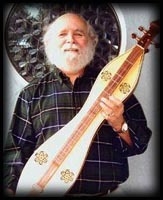 Santa Cruz County craftsman Ronald Cook creates Early American folk instrument art based on historic originals. Check out his unique dulcimer noters with hand-carved figures. Owned by dulcimer builder and recording artist Michael Rugg, of Felton, CA, this Bigfoot museum also includes mountain dulcimer paraphernalia. An exceptional combination! Annual roving hippy summer campout started by mountain dulcimer folks that sometimes lands in northern California. Huge summer folk music camp in Mendocino includes a mountain dulcimer workshop.